Perry Nichols is regarded as a pioneer in the field of personal injury law, and was a revolutionary figure in his time. He was the first attorney in the state of Florida to win a verdict in excess of $100,000. Soon after World War II, Perry spearheaded the organization of the Negligence and Compensation Lawyers of Florida, the predecessor of the Florida Justice Association. 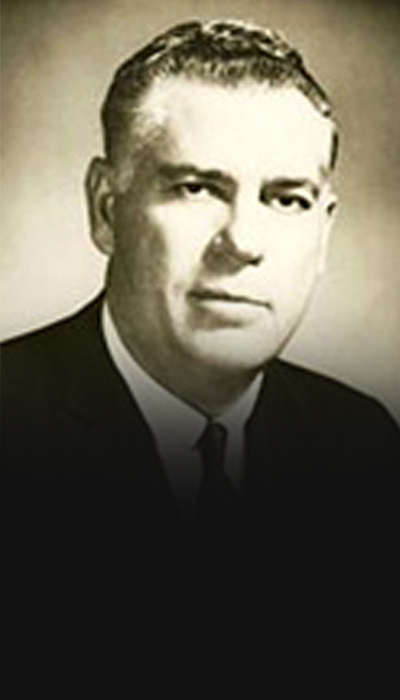 In 1954, he became one of the founding fathers of the International Academy of Trial Lawyers and was elected president of the organization in 1965. In 1977, the Florida Justice Association created the prestigious Perry Nichols Award given to the attorney whose perseverance, commitment and unmatched dedication to the civil justice system is at the forefront of their lives.